I miss blogging. I love putting together fantasy outfits and writing, and look forward to the day when I have that much free time. However, this is what my life is like right now and I love it, too. 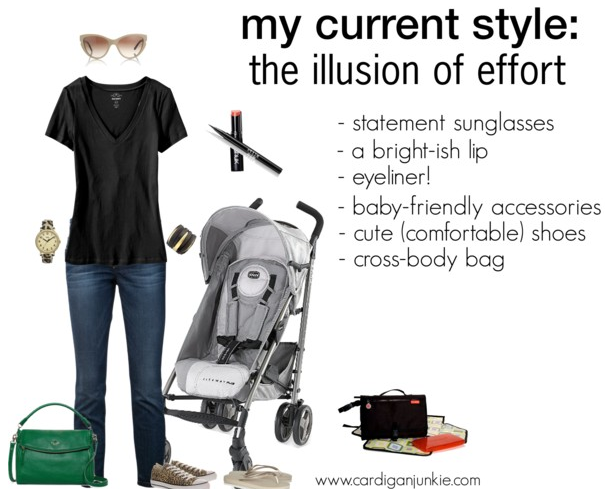 - Big statement sunglasses, a cool bracelet (since babies like to grab necklaces and then scream because he doesn't have the ability to let go), a big watch, and a bright purse. - I don't usually wear much makeup, but I find that some eyeliner and this coral tinted lip balm (LOVE it!) is the perfect mix of easy and put together. And now I need to go nurse my two month old baby (where has the time gone?!) and freak out about returning to work in two weeks. Here we are celebrating Mother's Day. I think I'll cry when he stops wearing tiny footed jammies and being cuddly. Hello old e-friends, remember me? 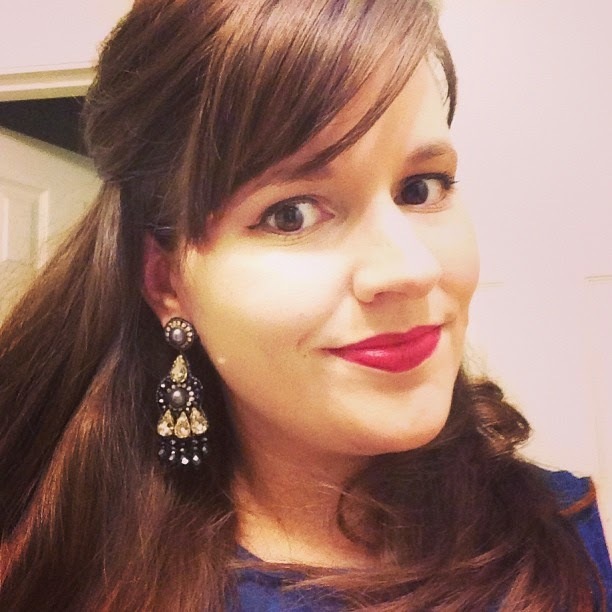 The person who used to spend a few hours per week dispensing style advice and deciding which of her 37 necklaces to wear with some outfit bought on sale? Yeah... she's still gone. For those who don't know, Baby Miles ended up being a c-section delivery after 13 hours of labor that stopped progressing. He was stuck and not able to "drop" like he needed to, and despite lots of pitocin, my body basically said "eff this" and stopped having strong contractions. If this had been olden times, one or both of us likely wouldn't have made it, which is really strange to think about. 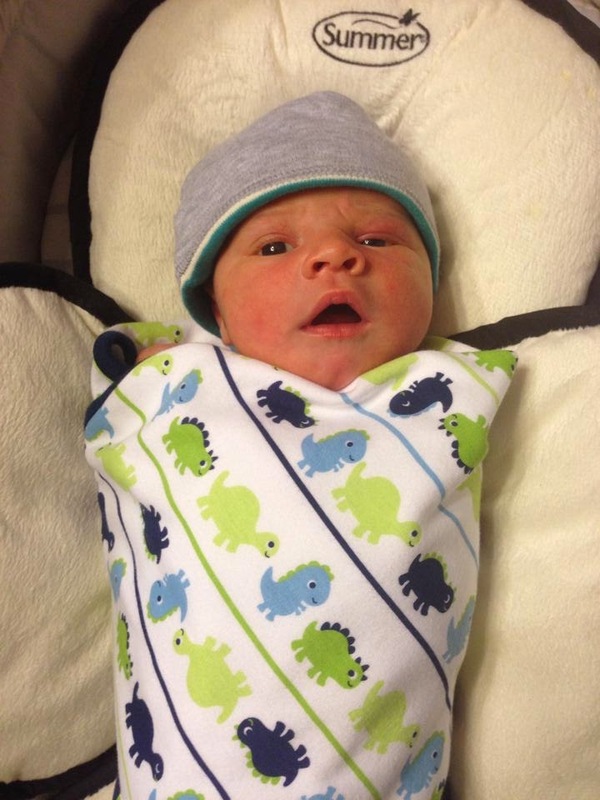 I was terrified of a c-section delivery, and it ended up being fine. No pain, and about 25 minutes from start to finish. The recovery is no party, don't be mistaken, but it's not the ordeal I was envisioning after reading scary blog posts from people who are either really dramatic, or perhaps facing some unusual circumstances. So, if you end up in my shoes, don't freak out. That said, it is major abdominal surgery and perhaps the only kind that you don't get to fully relax after having. Take advantage of all offers of help, and don't feel bad about leaning on your partner or family to do all housework and fetch you things as you recline on the sofa and let your body recover. I had no idea what sleep deprivation was like until now. We live in 3-4 hour increments between feedings, and my nighttime sleep comes in a series of 2-3 hour naps. I am slowly getting more used to it, but I'd say that 90% of the time I could lay down and fall asleep if given the option. Up until the end of last week, I'd say I definitely had a bad case of the baby blues. 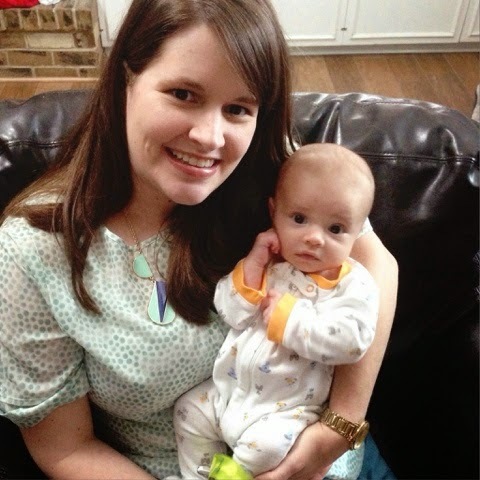 I was constantly on the verge of tears, and felt totally overwhelmed by breastfeeding and learning to soothe a crying baby. Now that my hormones have leveled out a bit and we've started going on walks and venturing out for short trips to places not packed with people, I feel so much better. 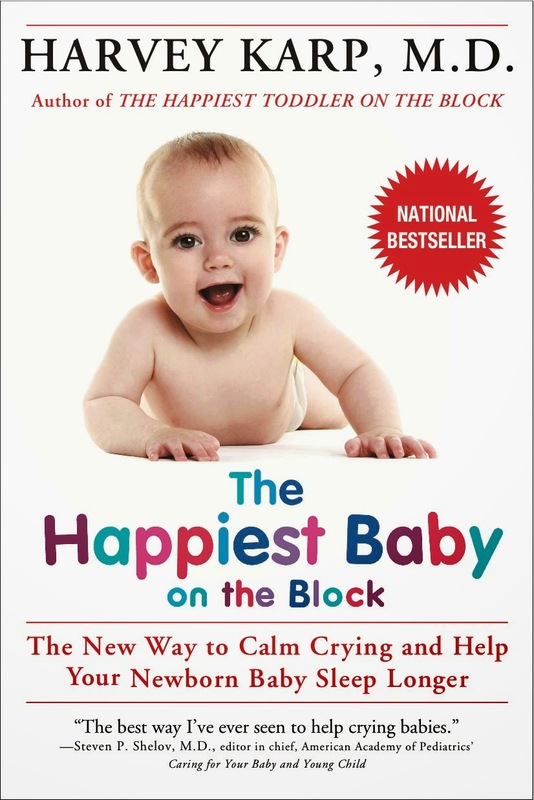 In other news, a used copy of Happiest Baby on the Block is the best $5 I spent preparing for this child. I was pretty up front about my dread when it came to breastfeeding, and I'm sad to say it was totally warranted. I wanted to love it (and during easy daytime feedings, I do) and was hoping it would come naturally, but it's been an uphill battle for which I was only semi-prepared. 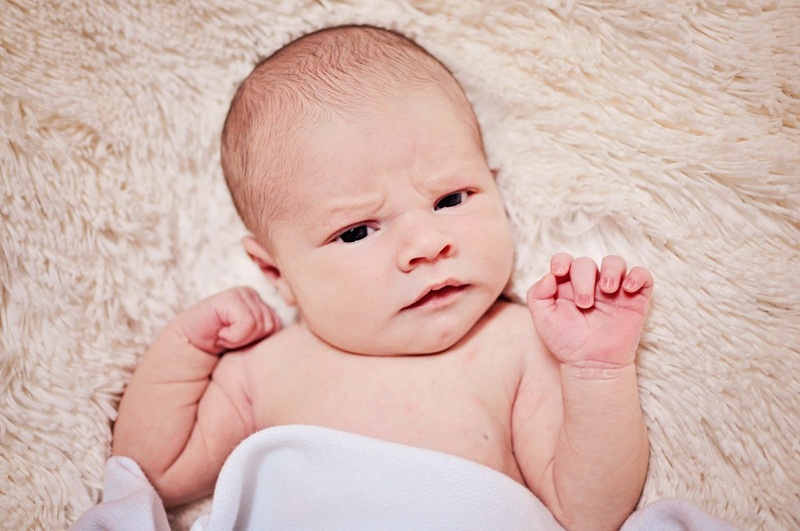 I think that hospitals and care providers walk a fine line between scaring new mothers away from trying, and allowing them to have unreal expectations when it comes to the level of work and skill needed to be successful. I ended up somewhere in the middle - expecting it to be hard but still shocked at how consuming it is. You see, breastfeeding is a skill, and it has its own jargon and techniques that you will quickly learn as you do it every 3-4 hours for weeks on end. I probably think about how great it will be to quit at least 15 times per day, especially since it forces me to be solely responsible for feeding the baby unless I've pumped milk for my husband to offer in a bottle. It's tough for a couple used to equal division of labor, especially when one party is an emotional mess and accustomed to being good at things. However, I'm going to give it another few weeks in hopes that we'll hit our stride before I switch to pumping, and I'm proud that we're still nursing exclusively and that Miles is growing like a weed. Wow, that was a lot of thoughts. I'm sure I'll look back on this post and laugh one day, but I wanted to share what's going on at this point and remind everyone that I hope to be back online one day. I don't see how it's possible with a newborn, but I'll do my best once we start seeing light at the end of the tunnel more often. I miss reading blogs and articles on sites besides Kelly Mom! 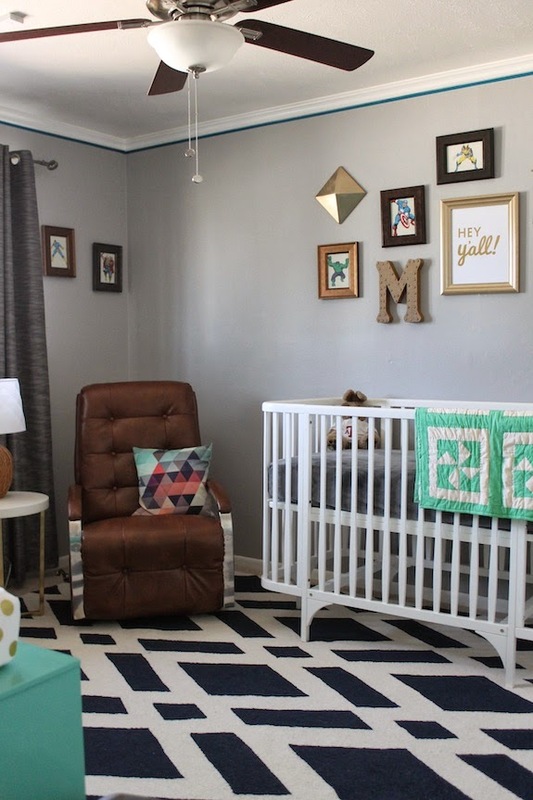 I know I've been promising nursery photos for a while, but it turns out that photographing a room is a lot harder than it looks on everyone else's blog. Especially when you don't have time to edit the images when you're done because a certain small person enjoys eating every three hours and you like snuggling with him the rest of the time. 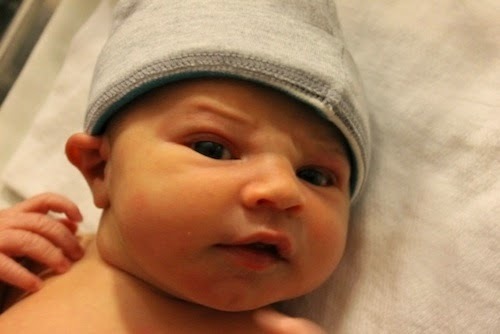 However, Baby Miles is currently napping, so here are the best of the photos I have. Please forgive the lack of artfully shot closeups of stacked books with an objet on top. My idea for gold washi tape trim looked more like a brown stripe once it went up, so we ended up using cobalt blue tape instead. 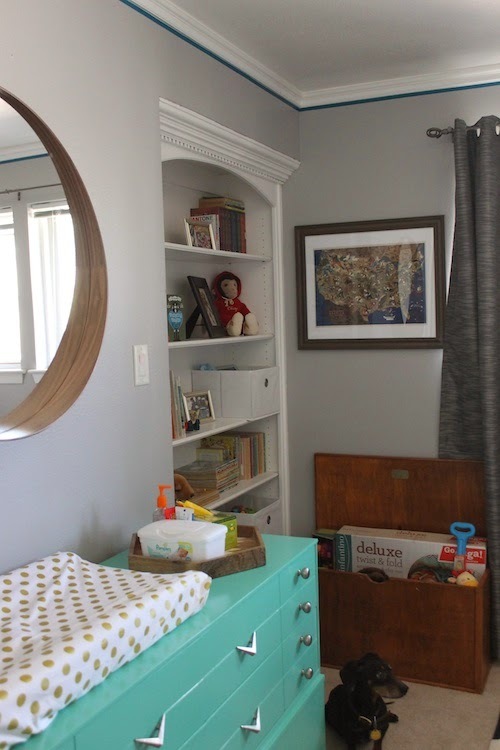 The "theme" is really only represented by way of framed prints on the wall and shelves, so if later on he decides that he loves dinosaurs more than anything else, we can make some updates without scraping decals or investing in new pieces. 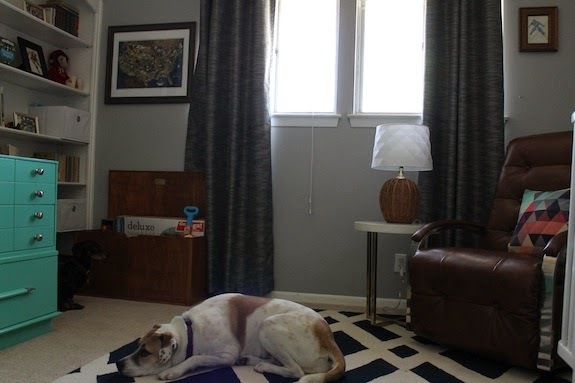 Plus, the room came together pretty cheaply - nothing is high end, or so precious that it can't withstand life with a little guy. 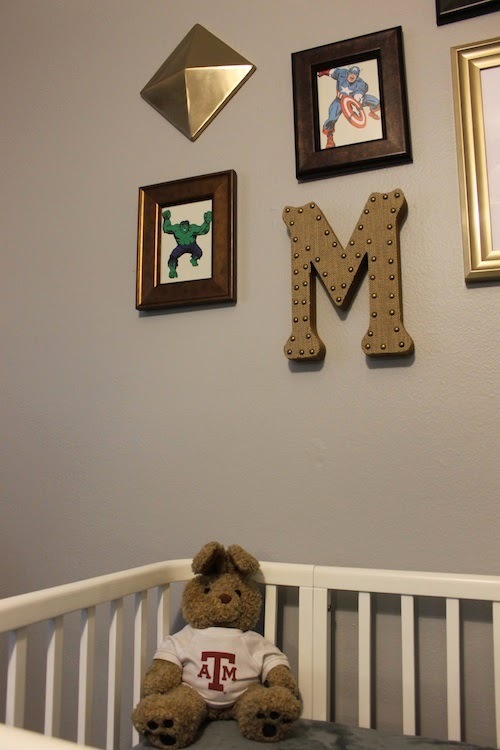 I hope Miles likes the room as much as I do - his dad and I worked really hard to finish it three days before he was born! Hey internet, meet Baby Cardigan. 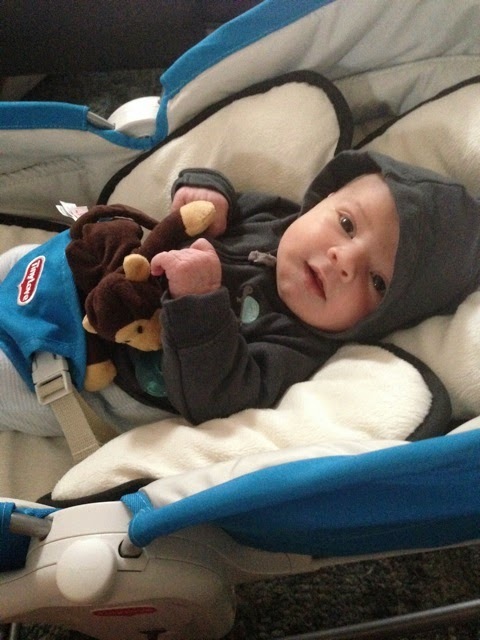 His family and friends call him Miles Evan and to say we are in love is an understatement! He was born at 9:42pm on 3/18 and weighed 8 lbs 2 oz, and is 21 inches long. He ended up being a c-section birth after 13 hours of labor that stopped progressing (we are both doing great - no worries! ), and we got released from the hospital on Friday afternoon so I am doing a lot of resting, breastfeeding and cuddling the sweet little boy who is among the most alert and snuggly newborns I've ever seen. I'll be back online soon-ish, and will share photos as I have them. Thanks for all the support! 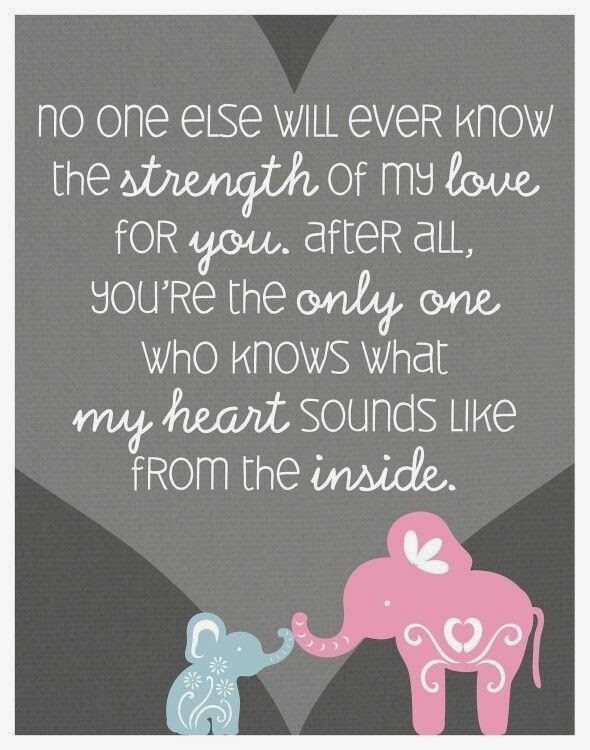 Today I'm scheduled to be induced and hopefully meet Baby Cardigan sometime this afternoon. Eek! I'll share a photo and name as soon as I'm able, but wanted to drop in and say thanks for all the encouragement and kind words these past several months and ask for your prayers and good vibes today! See y'all soon! Another thing I've been doing lately is keeping tabs on a few things I have been wanting to buy, but only for a great price. One of those items is a pair of wedge booties that are not too high, and of better quality than the ones I test drove from Target (they went back after an evening around the house). I love the laid back look, and I think they're a perfect shoe to wear when it's still a bit too chilly for sandals, and you don't want to wear sneakers or ballet flats. The weather in Dallas has been nuts lately, and we go from 40 to 80 degrees in a day. 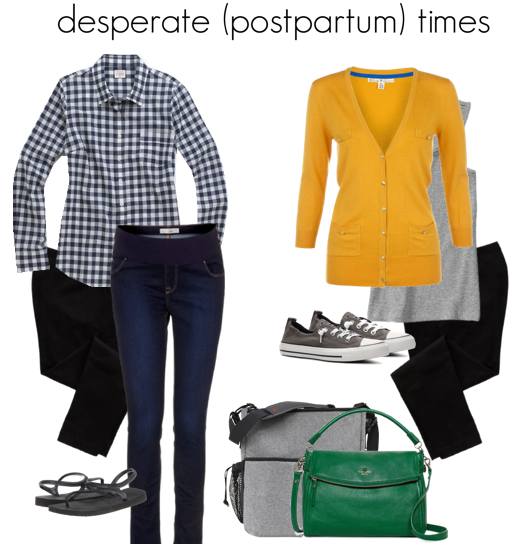 Here's what I wish I were wearing instead of a crappy Liz Lange maternity tee (that has not held up well at all - no stars!) and leggings. 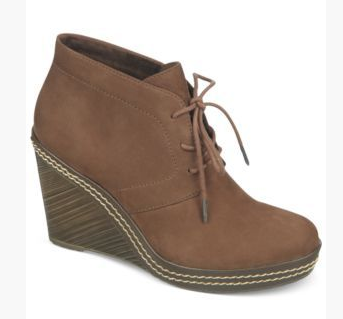 I am currently waiting on these Dr. Scholl's Bethany wedges to come down in price, at which point I will order them and be a cool mom on the go (as Stacey and Clinton would say). They're cheaper on Amazon, but not available in as many sizes. Does anyone else have recommendations for a similar shoe under $100? 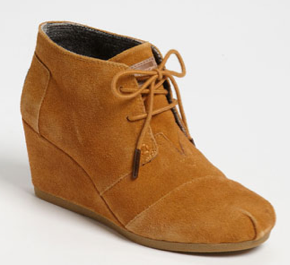 I'm curious to try the TOMS Desert Bootie - especially with 785 good reviews on Nordstrom.com - but I think I want a little less suede. Happy Friday! Who's ready for the weekend? I am wrapping up my last full week of work, and will be on maternity leave after Monday (unless I have a baby over the weekend - eek!) so I am pretty excited. 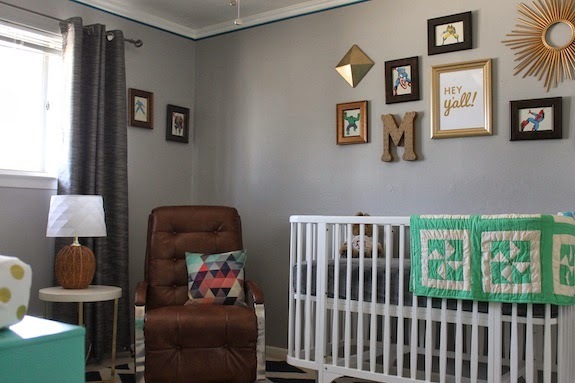 I hope to take some decent of photos of Baby Cardigan's room to share with y'all next week, and enjoy lots of restaurant meals and solo time before that becomes a rarity. 1. Isn't this the kind of dress that is impossible to find when you want it? If you find one that fits, buy it. I still regret passing on an $89 option at Nordstrom Rack 18 months ago. 2. I am starting to put together a big playlist for the day that I'll likely spend in labor, hanging out with my epidural and waiting for the big moment (pray it is that uneventful!). I realized that there are a few bands and albums that I will probably love until I am an old lady. 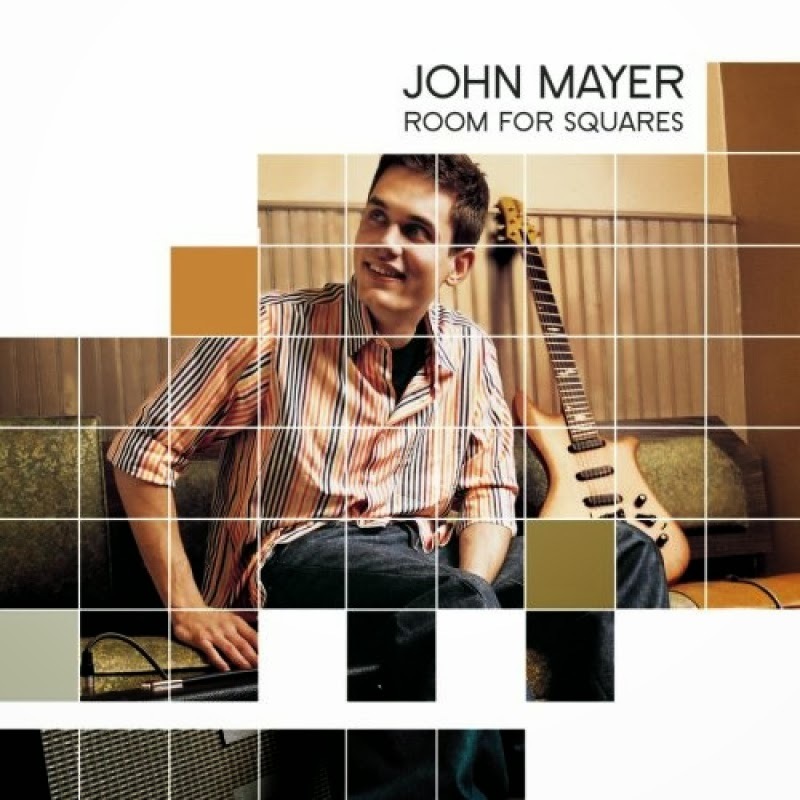 The top ones are Better Than Ezra, the Room for Squares album by John Mayer, Matt Nathanson, and bands fronted by Andrew McMahon. What are yours? Remember when he was so cute and clean cut? 3. 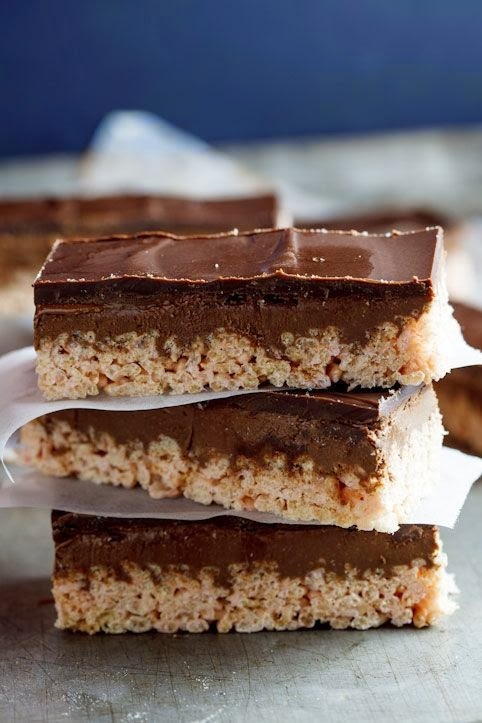 I'm hoping to make this peanut butter fudge rice krispie treat masterpiece for my coworkers on Monday - looks easy and delicious! 4. 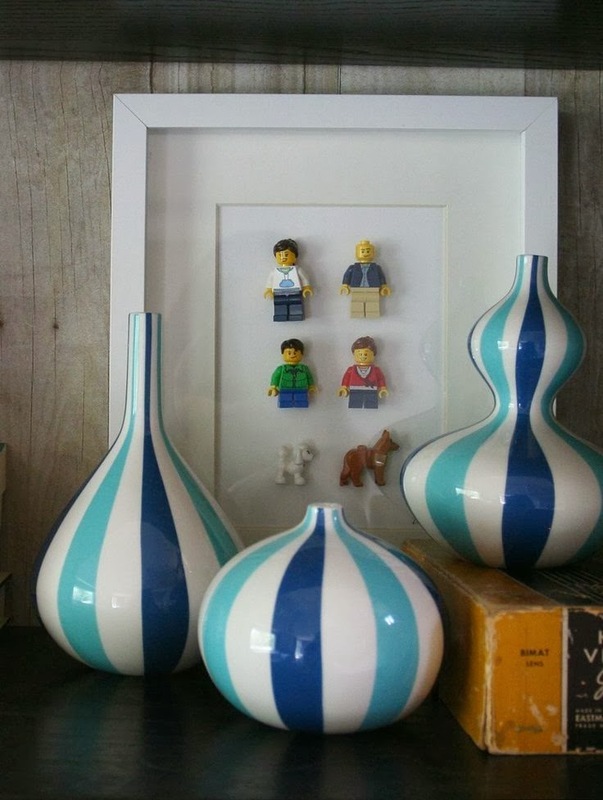 Need a reminder of the power of Google reverse image search? 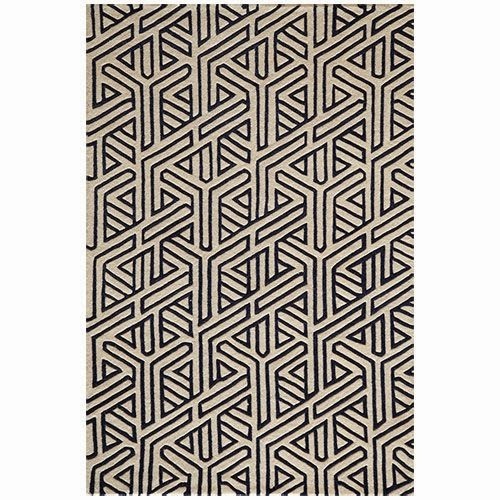 This rug was for sale on a fancy site for kids room decor, and cost $600 for an 8x10. 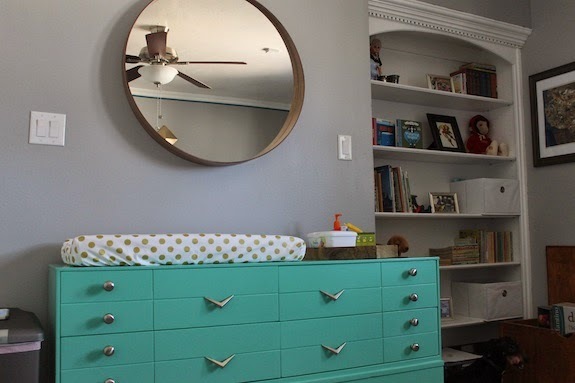 In 30 seconds I saved the image and uploaded it to Google in order to find other retailers who might be offering the same item (since it was obviously imported and not manufactured by that company) - lo and behold, here it is on sale from Floors USA for $450 with free shipping, before any coupon code. Do your research before you overpay! 5. I love this so much - now to find a brunette lady, man with glasses, little boy, black weiner dog, and brown white mutt from the Lego lineup! I think it would be an adorable Christmas card.